New dining options seem to be popping up all over town in Lake Wylie, and it is always exciting when there is a new type of food for residents to enjoy that wasn’t previously easy to find. A new restaurant just opened that will make Philadelphia transplants and cheesesteak lovers alike very happy. Now, Lee’s Hoagie House has roots in Lake Wylie, South Carolina. It is the first franchise for the company to open outside of the Philadelphia area, and with Lake Wylie not having a cheesesteak and hoagie dining option, the company thought the town seemed like a great fit to move to. Furthermore, Lee’s plans to open a location in Asheville in the next three months, with a possible Charlotte location on the horizon as well. The Charlotte region is known to be home to many transplants from the northeast region, so the move for the company to this area of the country seemed only natural. The Lake Wylie location of Lee’s Hoagie House will be located at 312 Bulkhead Way, Suite 101, in Lake Wylie Commons. 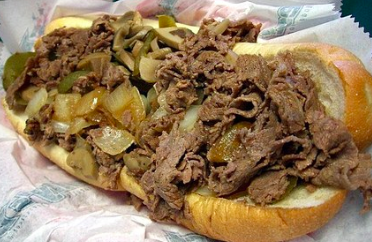 Lee’s Hoagie House has been serving cheesesteaks and other hoagie sandwiches in and around Philadelphia since 1953. For more information on the new sandwich shop in town, be sure to read the full article that CharlotteObserver.com.